A soon-to-be psychiatric service dog (PSD) socializing with children in a classroom setting! 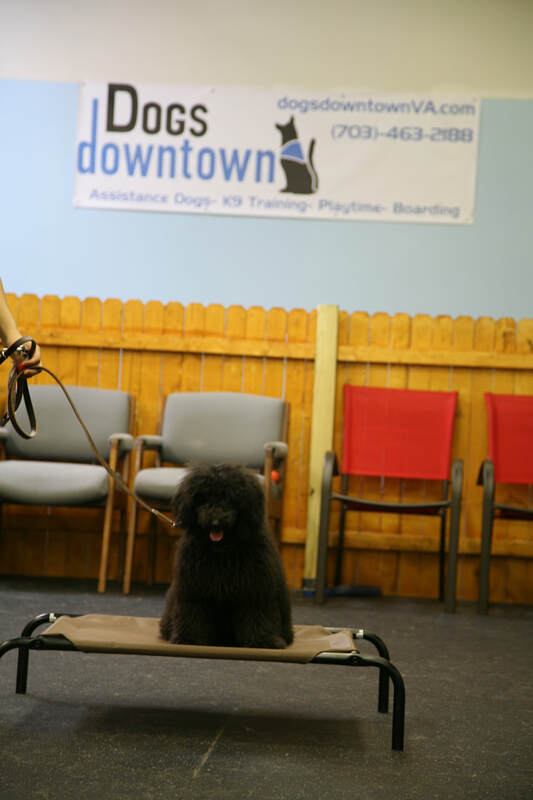 Dog's Downtown K9 Training takes pride in it's trainers and their proven training methods and strict ethics. We use balanced training skewed towards positive reinforcement training methods, including praise, treat, and toy or life rewards as reinforcement. Our focus is on training dogs that will be good citizens in the home and out in the world, off and on-leash, whether that be as a pet, a therapy dog, or a service dog. The foundation for well behaved dogs is helping owners understand what their dog needs and is trying to communicate to them with their body language and behavior. Our trainers' proven methods focus on educating the owners and the dogs so that they can have a better relationship and reach their training goals! ​Sophia has studied extensively in animal behavioral theory, with a focus on mitigating communication between humans and canines Her specialty is evaluating, selecting and training service dogs for certification. She is currently working with a councilor at a local school who is a PhD in Neuropsychology to train Dastan who we hope will set a precedent for the first "mindfulness/meditation" psychiatric service dog. Sophia hopes with the help of Dr. Daryanani to set a precedent for therapy dogs to be more involved in the public school system-- helping with the emotional and mental well being of students. She has more than five years of professional training experience working on Basic and Advanced Obedience, Therapy Dog and Service Dog Certification. 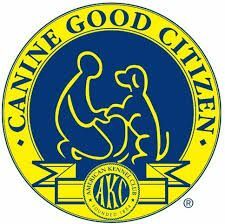 She is a certified Canine Good Citizen Evaluator & Therapy Pet Evaluator. ​​Clifton is a USAF and USMC veteran with 14+ years of experience in canine training and handling. His area of expertise is canine odor recognition and detection. He is a certified K9 trainer and handler through the Department of Defense. He is an experienced canine behavioral modification specialist with extensive expertise working with dogs of all types of temperaments, behaviors, psychological disorders and behavioral issues and has experience correcting those behaviors. He has experience with basic, intermediate and advanced obedience as well as civil aggression training. His experience ranges from working with TSA explosive dog teams, Military Working Dogs (MWD) internationally and abroad, providing explosive detection support to the United States Secret Service and the US Department of State, to training Service Dogs for fellow veterans. Caitlynn is a Master Trainer with a BS in Animal and Nutritional Science from West Virginia University. She ​has worked extensively training Service Dogs with a particular emphasis on training Guide Dogs for clients with visual impairments. She's worked with Service Dogs in Training through all stages of their training process from Basic Obedience to assisting in placing Service Dogs with their future handlers at the completion of the training. Her experience ranges from dogs of all types and temperaments with an emphasis on Service and Assistance Dogs. A soon to be Emergency Response/ Medical Alert Dog! Gaius (5 mo old GSD) and Franceska (5 mo old Puli) are both Service Dogs in Training. Service Dogs come in lots of different shapes and sizes!